Rome is a city full of history with a lot of attractions and old buildings. 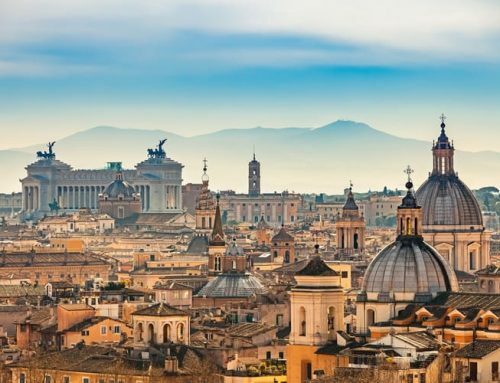 The Italian capital is a classic destination that many wish to visit in life. And rightly so. Rome is a great city, and in this article, I share my best tips when it comes to attractions and things to do in Rome as a tourist. 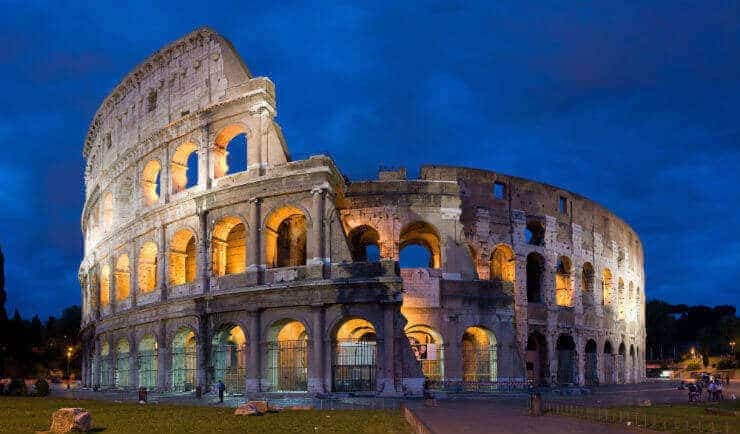 The Colosseum is one of Rome’s most famous and historic buildings. At one point in history, this was a theater with gladiatorial games, plays, and executions for the people. 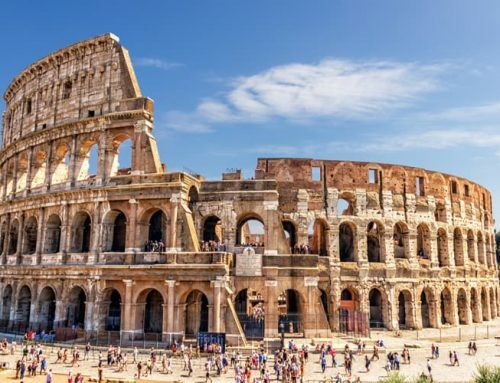 Nowadays you can walk around and look and learn more about ancient Rome and all the activities that took place at the Colosseum. A must thing to do when you’re visiting Rome! This beautiful cathedral from the 300’s is just a short walk from the Colosseum. The church has a stunning architecture both outside and inside. Inside the church, there are also many beautiful paintings and relics to look at. Address: Piazza di Porta San Giovanni; 4. What’s more classic than scootering around on a Vespa between all the different sights in Rome? A fun and easy way to explore the city. It is relatively cheap to rent Vespa, and there are plenty of places to rent. Be careful, though, since some drivers can be quite reckless. The Trevi Fountain is a classic attraction in Rome and to wish for anything this is something that is on many people’s bucket list. According to legend, one should throw a coin into the water behind the back to get his wish. A historic temple where the Romans worshiped all of their gods. Pantheon offers stunning architecture and is well worth a visit. Nowadays, it’s a temple in memory of some of Italy’s most famous people. Yet another place whose history dates back to Roman times. The Roman Forum was a public place where they also had meetings in politics. Religious ceremonies were also displayed and performed here. Today, most of it is in ruins but is nevertheless a very popular attraction in Rome. Address: Via Della Salara Vecchia, 5/6. To go to Italy without eating pizza is a bit like going to Spain without eating tapas. A visit to Pinsere Roma should, therefore, almost be mandatory for all tourists in Rome. For this is a local place that is considered to make some of the most delicious pizzas in the entire city. However, don’t expect anything fancy here, it is standing restaurant, or take away. Stroll along Marguttagatan and check out all the beautiful handicrafts and artwork. This street is not very touristy, which is fun because it is more of a genuine art experience a la Roma. For all those who love art, I can heartily recommend a visit to this artistic street. Another popular attraction in Rome, The Spanish Steps were built between 1723-25 by Francesco de Sanctis. In the surrounding area, one can find many cozy restaurants and trattorias and small boutiques selling clothes. One must also not forget to eat real Italian ice cream (a must to do in Rome). While there are many places to eat ice cream in Rome, but a personal favorite place is Gelateria Giolitti, which is the city’s oldest ice cream parlor. The Vatican is just under 500 inhabitants the smallest independent state in the world. But despite its small size, the city is full of historical places and famous buildings. The most famous of them are St. Peter’s Church (the world’s largest church), the Vatican Museum and the Sistine Chapel. Something that is especially memorable is to visit St. Peter’s Basilica on Sundays or Wednesdays when the Pope is preaching. A lovely park that serves as “hiding place” for the Italians on the weekends. Here you go to have a picnic and strolling in scenic areas. Do not forget to check out the view of the Piazza del Popolo. This square may be touristy, but oh so beautiful and romantic! Prices are slightly higher, but I strongly recommend that you sit down at a restaurant at lunch, just to check out all the people who pass by and enjoy the cozy atmosphere that looms over Piazza Navona. A cozy little area with many small charming outdoor cafes in picturesque surroundings. Stop by at a café and enjoy Italian wine or the classic Aperol spritzer while checking out the everyday life. During weekdays, it is quiet and peaceful, and on weekends, it is full of people everywhere. City tour with Walks of Italy guarantees a maximum sightseeing round in Rome. Here you pass the city’s best attractions while providing tips on restaurants and other fun information about the sites you visit. The guides are very knowledgeable and always do their best for everyone to get as good an experience as possible. I loved my trip to Rome and visited all the above places. Just wonderful!